According to typical rural tradition of Chianti area and Tuscany, in general, Poggiacolle farmhouse lies over 2 hills and farms vineyards and olive groves. The holiday villa, an original Tuscany building dating back to 1700, is just 2km away from San Gimignano (Siena). 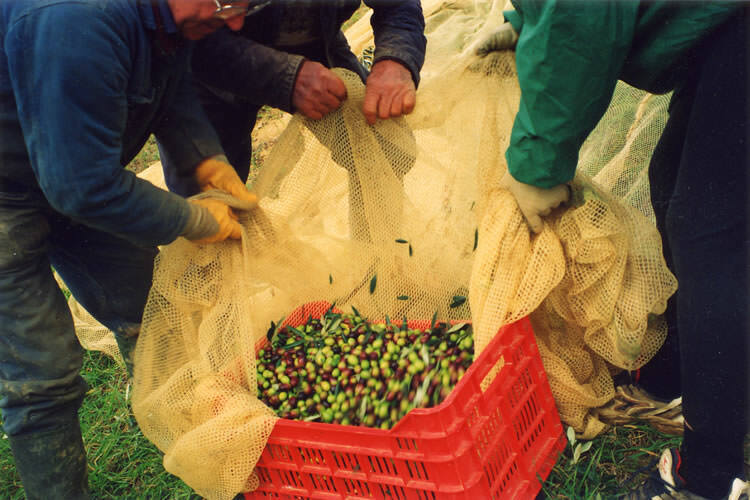 The property measures about 40 hectares with its organically farmed produce. In the property of this organic farmhouse, in addition to vineyards and olive groves, there are green pastures and woodlands. In 1999 trees for wood were planted over 8 hectares thanks to the financial contribuition of the European Union. 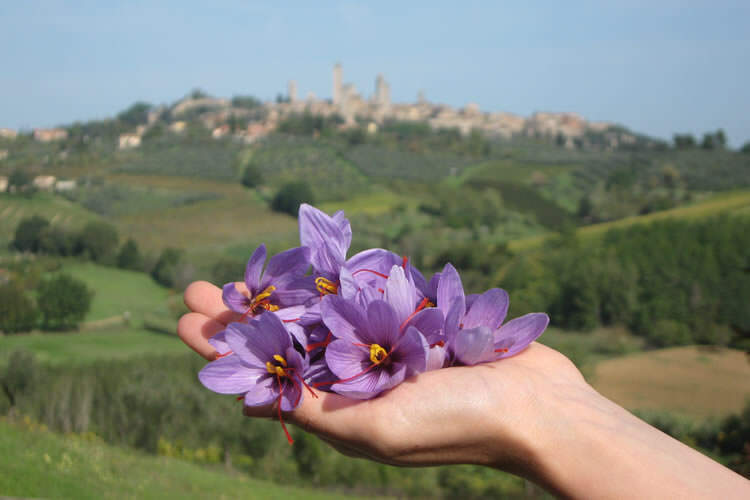 The cultivation of saffron, very precious and ancient spice, already produced in San Gimignano in medieval times , has been reintroduced over a small piece of land of about 200 square metres. Near the holiday villa we have a vegetable garden with the typical vegetables of our Tuscany countryside (tomatoes, lettuce, zucchini, peppers, cucumbers, cabbage and carrots) together with aromatic plants. 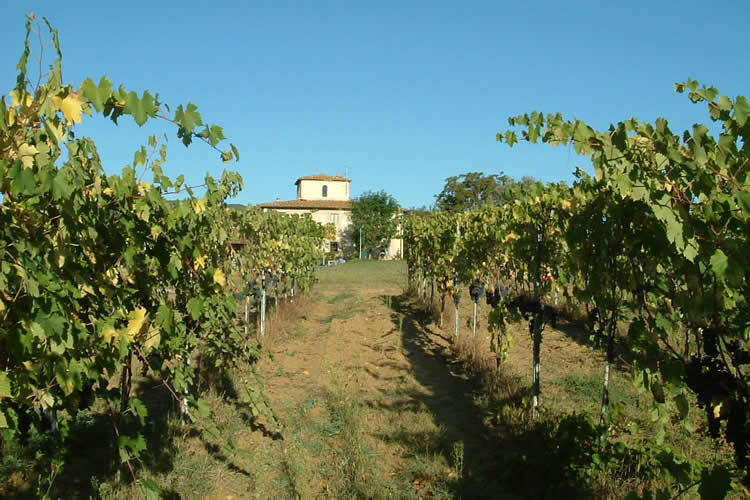 Poggiacolle farmhouse uses its white grapes for the production of the famous Vernaccia di San Gimignano and Vin Santo Toscano, and its red grapes for the wine Chianti Colli Senesi. The vineyards of the farmhouse stretch for about 7 hectares. 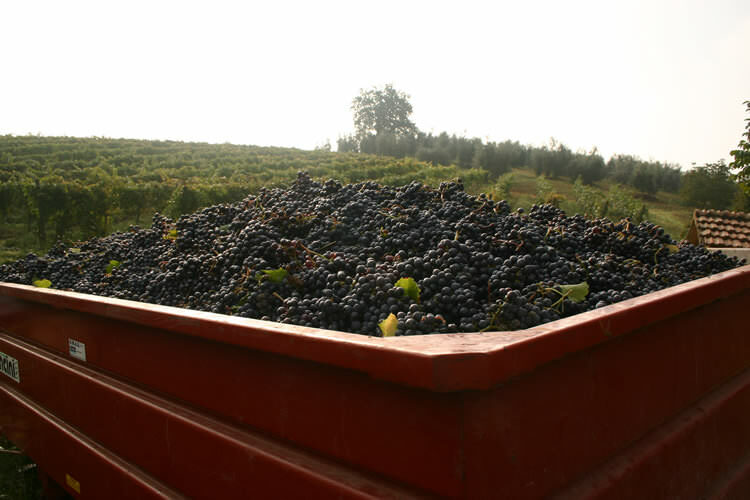 The wine Chianti Colli Senesi is made up of 90% San Giovese grapevines and the remaining 10% Merlot and Cabernet ones. 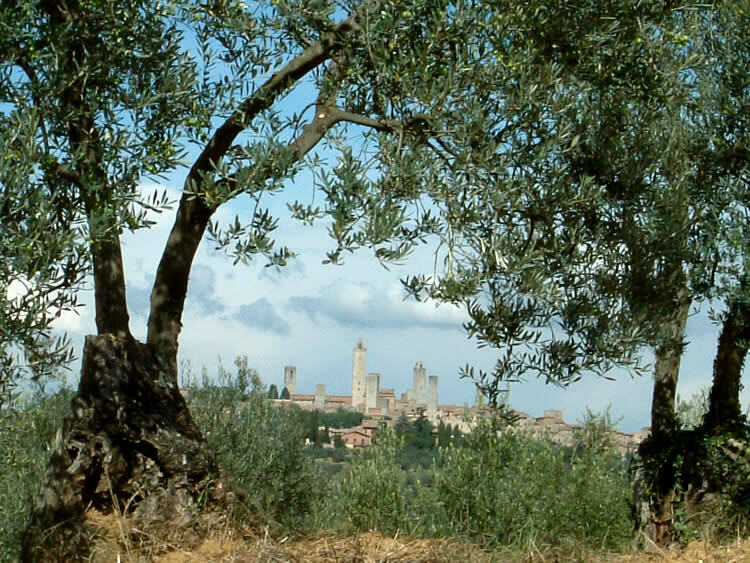 The wine Vernaccia di San Gimignano is made using 90% vernaccia grapevines and the rest Chardonnay ones. 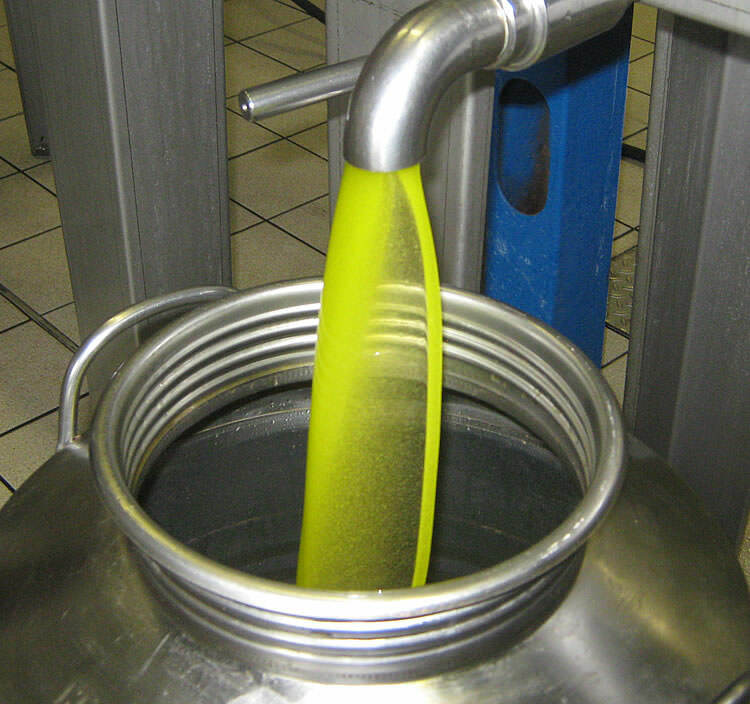 We produce excellent extra virgin olive oil with a deep green colour, delicate fruity flavour and very low sourness (2%). 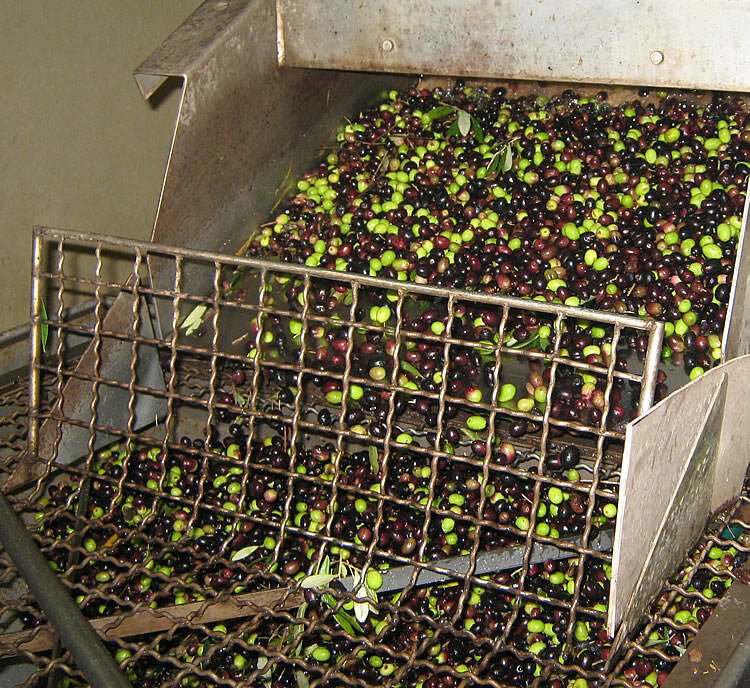 Poggiacolle olive groves measure about 6 hectares and consists of varied olive trees, leccino, moraiolo correggiolo frantoiano, maremmano an the American pollinator. 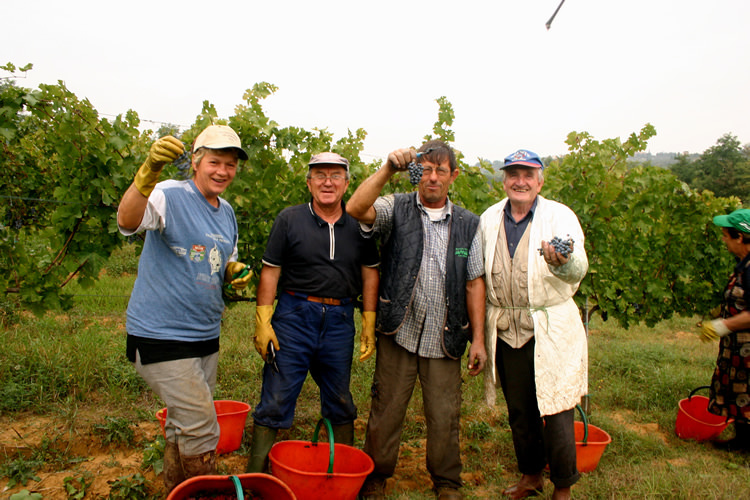 Poggiacolle farmhouse offer the opportunity to actively take part in farming life. 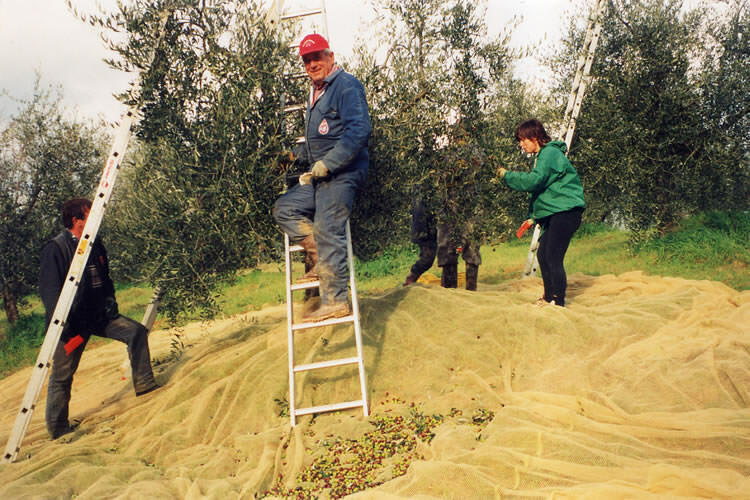 Upon request, guests can partecipate in grape harvest in September and olive picking in November, regularly carried out in the property. Taking part in these rural jobs is a simple old way to get into contact with nature and experiense countryside life while havin fun and socializing. Poggiacolle farmhouse is pleased to announce that we are working on the planning of a cellar at the farmhouse. Not only this cellar will enable us to vinify all our production of grapes but also to restore and give new splendor to a 13th century country house, historically built on commission of the old Spedale of S. Maria della Scala in Siena.